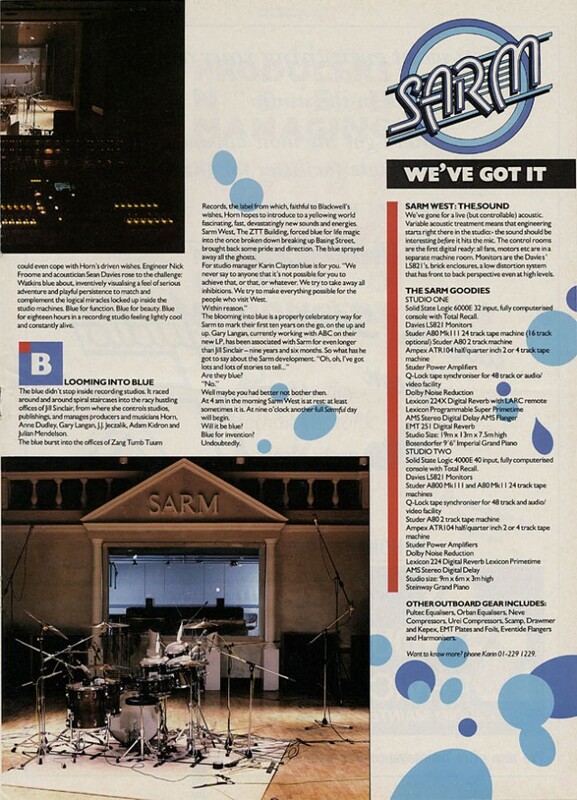 The October 22nd ’83 issue of Music Week carried an 8 page supplement inside featuring Sarm Studios complete with telltale design courtesy of XL and wordplay straight from the pen of Paul Morley. 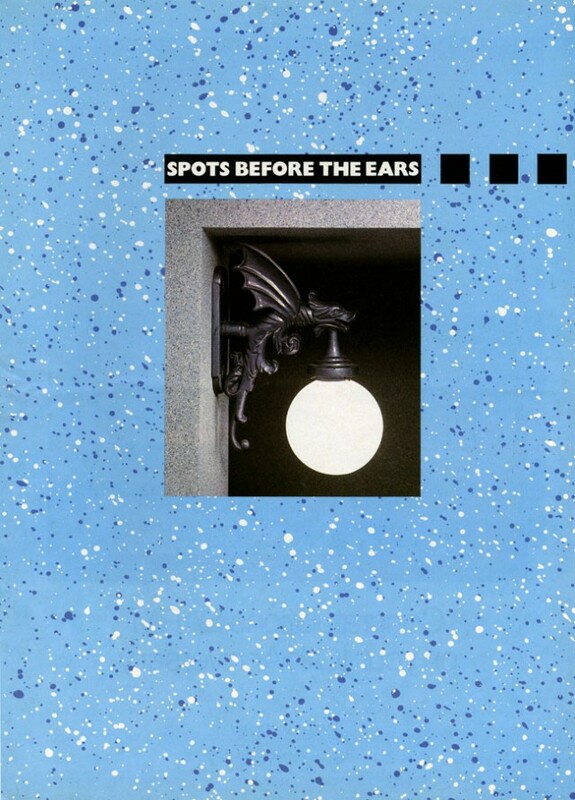 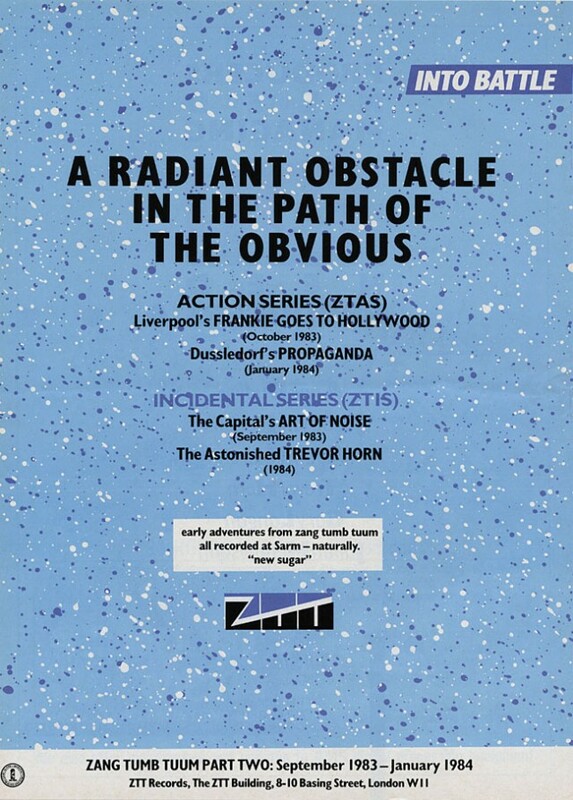 Essentially a big advert for the newly renovated and decorated Sarm East & West and the services it provided, it also set out ZTT‘s label colours and hinted at what was to come. 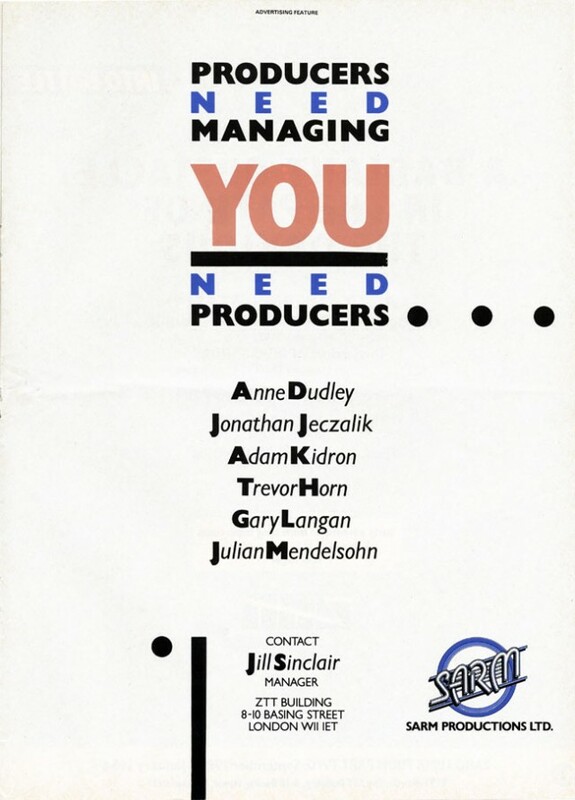 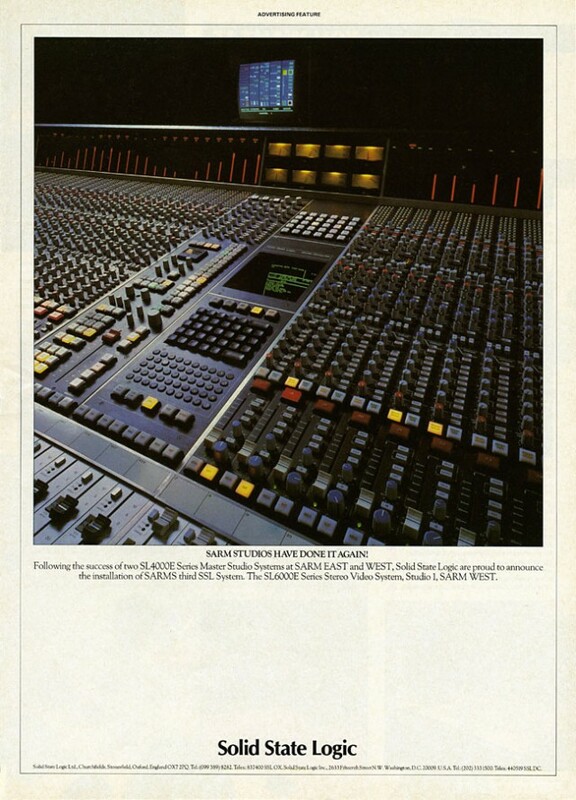 Note the list of studio engineers (no Steve Lipson yet) and the ‘Radiant Obstacle…’ ad on the back page – the missing 2 pages were standard trade ads from outside audio equipment manufacturers. 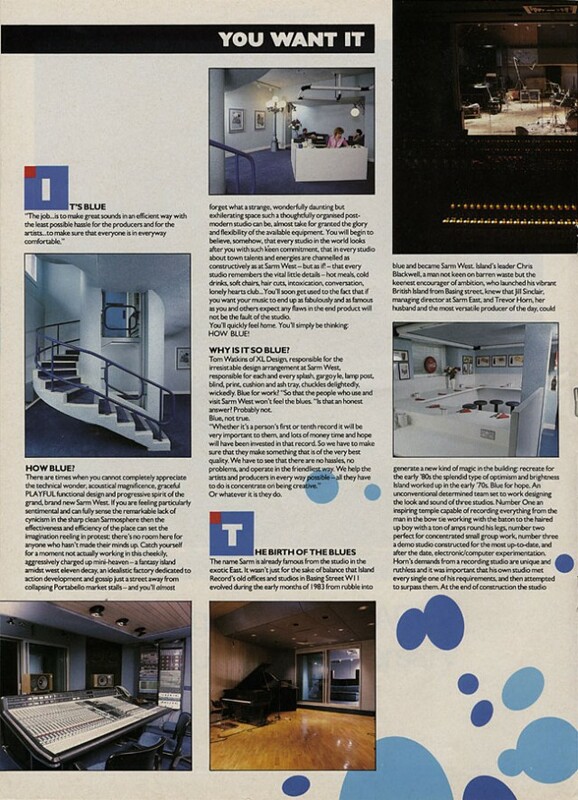 Presumably that was Tom with his interior decorating?